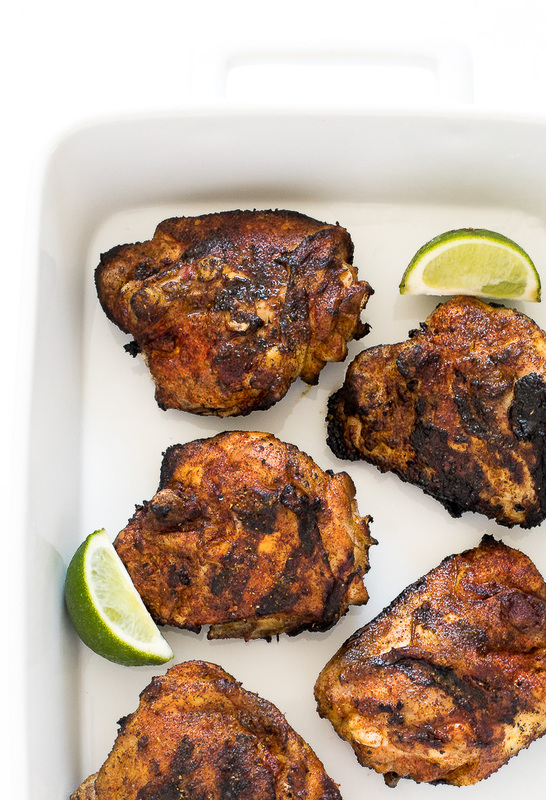 Super Easy Tandoori Chicken. 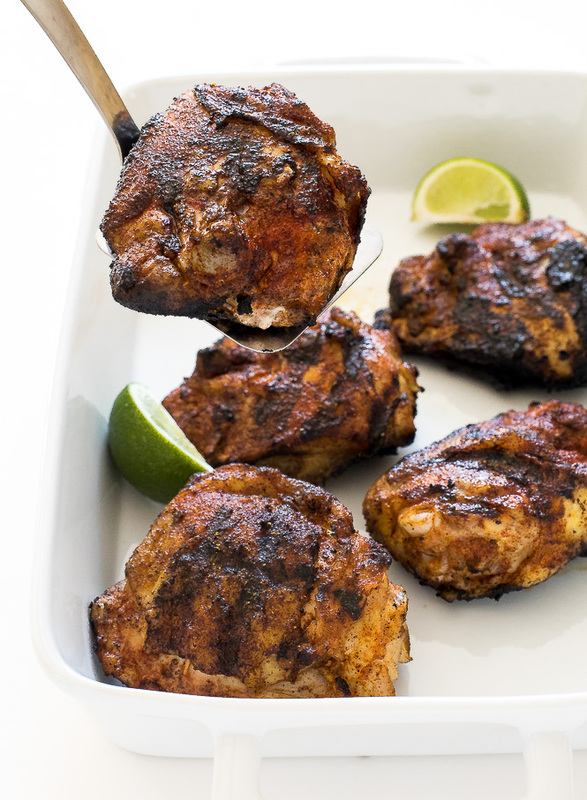 Marinated in yogurt, lime juice and spices then grilled until juicy and tender! Yes you can make Tandoori Chicken at home!! 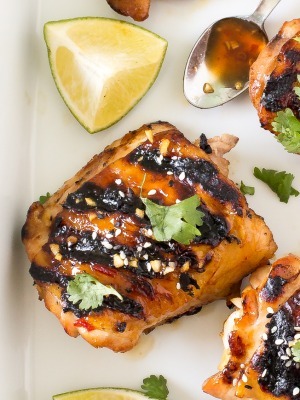 All you need is a grill or broiler to achieve crispy golden brown chicken. Typically Tandoori Chicken is made with red food dye to color the chicken. I’m not a huge fan of adding dye to my food so I added in some paprika for some spice and for a little pop of red. 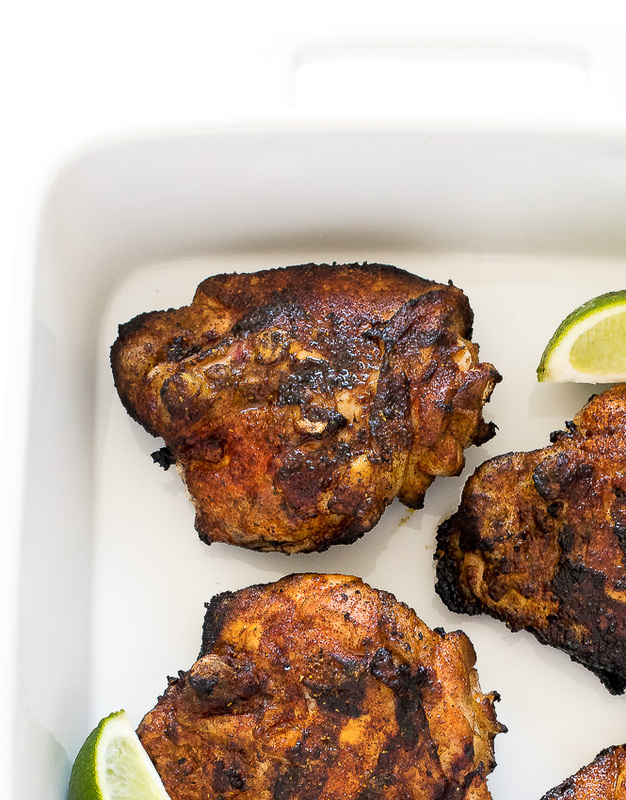 This Tandoori Chicken is super easy and comes together in minutes! I marinate the chicken overnight and throw it on the grill when it’s time to eat. In a large ziplock bag I combine garlic, ginger, yogurt (or buttermilk), paprika, lime juice and garam masala. 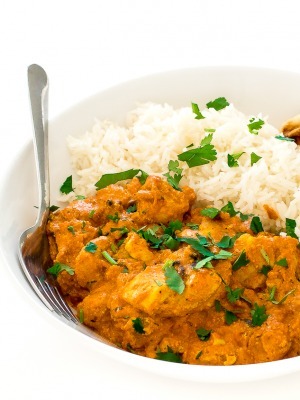 The yogurt and lime juice act as a tenderizer and the ginger and garam masala add a nice Indian spice to the chicken. I made this recipe with chicken thighs to keep the chicken tender and juicy on the inside and crispy on the outside. This recipe can be made with either bone in or boneless chicken thighs. I personally prefer skin on for the extra crispy skin! I like to serve this Tandoori Chicken with a side of veggies and rice. It’s the perfect meal! Add all of the ingredients to a large ziplock bag. Marinate for at least an hour or overnight. When you are ready to eat preheat grill to 400 degrees. Spray the grill with nonstick cooking spray. Grill for 5 minutes, flip and cook for an additional 5-10 minutes or until fully cooked and crispy on the outside. Allow the chicken to rest for a couple minutes then serve immediately with extra lime wedges for serving if desired!